Due to its unique geographical attributes, MENA is highly vulnerable to consequences of climate change. One of the main climate change impacts is sea level rise on coastal areas of MENA nations. This includes many of the large and small islands in the GCC region such as Kuwait, which are highly vulnerable to the impacts of sea level rise. Inundation will adversely affect cities, roads, agricultural areas, as well as beaches and salt marshes in the MENA region. Continued use of non-renewable water is major factor in depleting groundwater reserves in MENA region and puts regional countries at severe risk of climate impacts. Depletion of groundwater through urbanization has led to the loss of freshwater springs/aquifers. The GCC countries are heavily dependent on energy-intensive desalination plants for its freshwater supplies which is further driving up electricity demand. The MENA region is highly vulnerable to tensions brought on by spike in food prices. Due to growing water crisis and desertification, the region is staring at a food crisis in the coming years. The region is grappling with the realization that its barren soil and dwindling water supply will be insufficient to feed the population, even with intensive irrigation and modern farming technology. Unfortunately the level of seriousness that should have been shown by the regional governments is somewhat lacking. Climate change mitigation is not among the top priorities in most of the MENA countries. There is lack of effective laws/regulations, absence of long-term climate action frameworks, weak coordination among different ministries and among regional governments and lack of public awareness. An efficient and effective environmental governance framework is essential for more productive and measurable interaction amongst various stakeholders and across key sectors. National, regional and international linkages within targeted sectors are essential to coordinate climate action in MENA. Proactive involvement of public and private sectors, civil society organizations as well as research and academia in climate change mitigation is also a crucial issue. Environmental education will also go a long way in inculcating sustainable lifestyles and responsible behavior among local population and expatriates. It is realistically possible that climate change will precipitate environmental degradation and drought-like conditions in MENA which will cause deterioration in livelihoods, and put pressure on populations to migrate en masse. Needless to say, Arabian Gulf is the most unsustainable region in the world. The craze for big cars and tall buildings coupled with apathy towards the environment and natural resources is pushing the region towards the worst-case scenario. Kuwait is facing a wide range of climate change challenges including sea level rise, water scarcity, desertification and loss of diversity. Kuwait is characterized by high temperature, high humidity and arid lands resulting in seriously degraded soil and land damage in addition to salt intrusion in the aquifers affecting the small scale agricultural lands thus enhancing the food security threat in the region. Kuwait is also highly susceptible to climate change due to its total dependence on oil exports. Since 1975, Kuwait has experienced 1.50C to 20C increase in temperature, which is significantly higher than the global average. In recent years, there has been a sharp change in rainfall pattern in Kuwait which may be attributed to climate change impacts. The country used to experience 125mm of average rainfall each year which has now been replaced by sudden spells of rainfall and long intervals of dryness. 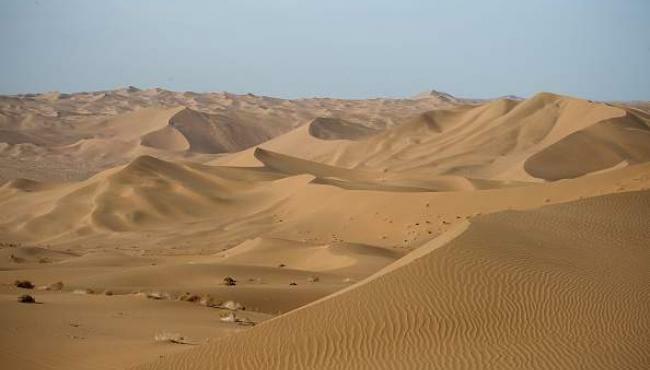 In addition, there has been marked increase in sand and dust storms in last few decades which are noticeable signs of change in climatic conditions in Kuwait and neighbouring GCC nations. Kuwait is both physically and biologically threatened by the global warming phenomenon. Over the next few decades, Kuwait could be potentially facing serious impacts of climate change in the form of floods, droughts, depletion of aquifers, inundation of coastal areas, frequent sandstorms, loss of biodiversity, significant damage to ecosystems, threat to agricultural production and outbreak of diseases. 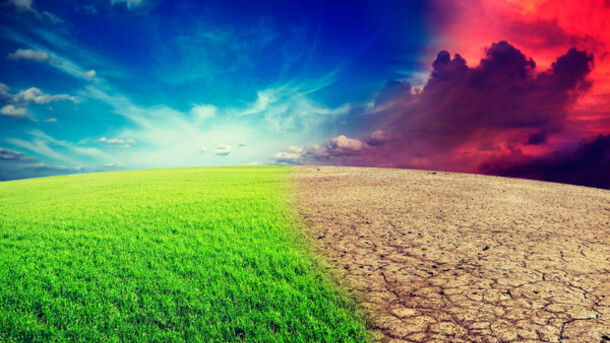 There is an urgent need to implement climate change mitigation and adaptation measures, and prepare a strong framework for socio-economic development which may be sustainable in the long-run.